"A top-notch learning platform with all the bells and whistles!" Thought Industries makes changes to the look/style of the site or the platform features relatively often, which can be challenging to adjust to as a daily user of the program. The changes aren't always for the better (in my opinion), and this has at times left our customers (and content creators) missing a particular feature or wanting a slightly different experience. It's also a bit inconvenient that multiple admins can't be editing/building a course simultaneously without experiencing issues. Thought Industries provides a crucial platform for building out our online courses quickly and efficiently. I work for a company that produces a fairly high volume of online educational content and TI keeps the machine moving! Whenever we have experienced issues (technically, or otherwise), customer service has stepped up to get things squared away. 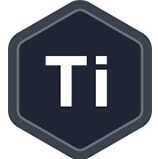 The primary benefit of TI for our company is that it allows multiple users (producers, instructors, editors, etc.) access to the site for strong collaboration (essentially in real-time) amongst a team with individuals located across the country. We launched 40 new courses this past year... with even more planned for next year!! I'd call that a success! "Perfect platform for a learning business"
The thing that we love most about the Thought Industries platform is that it is specifically designed for businesses like ours that are focused on creating and selling learning products. We looked at a lot of different LMS suites but so many of them are focused on internal trainings. If there was one thing that we have provided constructive feedback on is the lack of an asset management system built into the platform. The product and feature updates they have come out with recently have been focused on bettering the learning experience for users, which is great, but there are some minor quirks in the our user experience for course authoring. The benefits to our end users and the overall product experience definitely outweighs any of these quirks. If you are in the market for a platform, not just a piece of software, for creating and selling courses, this is the one you want. There are plenty of website plugins and add-ons that will meet the LMS requirements but the additional features that build out the platform are key in creating a successful learning business. Also, the support, customer service, and entire team are great and a pleasure to work with. Working with TI is definitely an experience and relationship vs just a vendor - client connection. We were looking for an LMS that allowed us to produce and market products to customers both in a B2C and B2B manor. This was our primary requirement and Thought Industries is on the leading edge of this kind of platform. I love the Learning Business Platform™ so much that I brag about it all of the time. We use the reporting features to track purchase statistics and assess how many learners are completing the courses. Also, we love using the in-platform email features to engage/communicate with learners and encourage them to leave feedback. I wish I could more easily calculate conversion rates of users who do a free preview and go on to buy a class - it would help us identify if customers are more or less likely to purchase after taking time to preview a class. The Thought Industries’ platform helps us reach parents that live in rural or remote areas without Lamaze educators. There were a lot of women we weren’t serving. Plus, 12 hours in a classroom setting isn’t feasible for many learners — especially working or new parents. The interactive features like filmcards and matching exercises create more exciting learning experiences for learning parents. They bring the material to life and help learners digest new ideas. Thought Industries moves us beyond a traditional LMS and to a new, engaging way to create and distribute content and create effective, engaging learning experiences. The platform design and user interface is crisp and clean, it can support most any type of content, enables the creation of engaging learner participation in courses, and the customer support team is always on point to assist with questions or issues. The product roadmap is full of great enhancements that focus on helping content providers capitalize on ecommerce functionality, deliver great content, and create engaging learning experiences for learners. Just like any other platform, there are some quirks within the system. Because it does offer many distinct and unique features together in one platform, there is a learning curve to understand how all the features work together in the system. Thought Industries takes us to the next level in creating innovative, engaging learning experiences for our clients. "I support health care partners utilize the online learning hosted on TI platform"
The user interface is intuitive and savvy. The interface is colorfully attractive and well organized. The process for creating accounts for users and logging them onto the platform and a creating a sublicense is quiet easy. I dislike that there is not currently a reporting function available on our site so I can report back to my main points of contact on utilization metrics. Currently I have 500+ individuals signed up for the online learning modules, but I cannot provide data, analysis or utilization trends to my clients. I also wish I could send a message through the platform to a large group of users . consider Thought Industries for a more user-friendly learning experience. I am trying to solve skill deficits in health care by providing both business skills, soft skills and other learning opportunities to healthcare leaders. Thought industries has an exceptional product offering and a team to back it up. They are very knowledgable and helpful, with great customer service. Their platform is intuitive and they are great at adding new features. As always, budgetary constraints are key in todays world so of course, we would like to have a lower price point, but realize we get what we pay for. Overall, nothing that we dislike at this point. Thought Industries has a great product and team to back it up, I comfortably recommend their platform to industry peers. We use Thought Industries for both retail and audience education solutions. The Thought platform has a clear and concise way to disseminate the information in a learning environment to those groups. "HabitatU on Thought Industries platform"
It's ease-of-use has allowed my company to venture into e-learning without having to master other software programs. We can focus on the 'learning' part of the equation, and not get tripped up by a complicated platform. While the platform is very easy to use, it still requires becoming familiar with the tools. That process takes some time. We started working with an instructional designer to simplify our lives. It has a very professional appearance - certainly compared to other e-learning platforms. That is important to our publishing environment. Having an e-learning platform allows us to use our content in a different way - and we're very excited to do so. It has also opened up a digital revenue stream - one that is content rich. Thought Industries gives your content a polished look. The grading function could be more rebust. We provide a credential to Nonprofit Professionals and aesthetically Thought Industries gives our content the expensive look that it deserves. Our old system just was no longer doing what we needed it to do. We wanted a platform that we allow us to migrate fast, Thought Industries did that for us. "This software - and company - met and exceeded our high expectations for an LMS software platfrom"
The Thought Industries software is flexible, intuitive, and relatively robust from a functions and features perspective. It is very current/leading-edge technology in the LMS space. Also, the platform is developed ideally to support the new wave of elearning businesses, and both online only and hybrid training programs. We have a broad offering roadmap in terms of training programs and courses, and Thought Industries is one of the few LMS's that can support that part of our business model with limited customization, flexible work flows, strong eCommerce capabilities, and standardized partner tools. A little less than one year into our partnership, we don't have any major concerns. The Thought Industries software is highly flexible, but, in some cases, utilization of this flexibility requires a relatively high degree of technical acumen. Also, as with most SaaS providers, because client business models vary greatly, there are some difficulties in aligning the Thought Industries subscription pricing model with our go to market strategies. We have found Thought Industries to be a great partner and a great LMS, especially if you are migrating to the elearning space from a more traditional training business model. As you grow in sophistication and offerings, you may find the need to include other tools to aide or manage the process and content, but Thought Industry's LMS can remain a core part of that closed-loop technology suite. Thought Industries has been both a great eLearning partner and a top-tier LMS platform - both elements are critical to our strategic business model. By introducing the eLearning model into our offering design, development, and delivery capability, we have been able to exponentially scale our training programs at an attractive price point - greatly improving our client service capabilities, reducing market entry cost barriers, and elevating training quality and consistency. "A great innovative learning platform"
Before launching an online learning experience, we were more in-person based in our teaching. The Thought Industries platform has been great in that it allows us to create the same level of engagement and customer longevity but within an interactive online experience. You need to have some technical knowledge to fully integrate the Thought Industries platform with your CRM. Thought Industries has put the needs of the students at the forefront of their development of their learning platform. This means your students will have great features and a modern and clean learning experience. More interaction with students with a modern look and feel. "Thought Industries is the best! " One day after being pitched on the platform, we were sold. We're now able to provide learners with a series of courses via custom learning environments branded uniquely to each client which is great. The learning experience is user-friendly and aesthetically pleasing from a design perspective, and the platform itself has a lot of bells and whistles. TI plans to roll-out SCORM files soon. This will better serve our needs of large corporations who already use their own LMS. TI allows our clients who do not have a budget for in-person training to receive media and presentation coaching via eLearning courses. "Great platform for training and marketing"
What we love the most is the team that we are working with. Thought Industries provide excellent client support both prior to and after we launched our training platform to our clients. They also offered a lot of thought partnership along the way to help us configure the platform to best suit our clients' needs. I wish there were more opportunities to add gamification. Great platform with lots of good features and flexibility to customize. We use Thought Industries to offer training courses to our client users. It not only provides a clean, easy-to-navigate platform to offer on-demand training courses, but also provides a great platform for marketing purposes, especially around cross-selling other products to existing clients. I like the possibilities. It seems like TI is always evolving. That is a good thing. As a primary user of Panorama, it seems updates happen without PAnorama in mind. We have had lots of bugs to work through because of this. Work with TI to make the platformwork for you. Things seam straightforward to set up but it may not be as straightforward as you think. "Nice product for online education "
The platform was easy to navigate and the training sessions we nicely done. The Thought Industry team was great to work with and go back to me very quickly with answers to my questions and or concerns. THE TI team is helping us out and customizing a homepage for two courses. Little overwhelming for the first couple training sessions. needs to be a homepage set up for two classes on your home page when you are first launching your school. The two class homepage looks a little awkward but we didn't have three courses to start with. "Good platform for online learning." The platform is very easy to use. You can create an online course in minutes, and manage customer service issues (e.g. customer data and refunds ) quickly. TI customer service response time is rapid and friendly. Design could use an update as it's lacking that "wow" factor. TI puts onus on users to suggest and push for improvements to the platform - which is not always helpful. The current platform does lead to some recurrent customer service issues (audio/video streaming, navigation), however, they can be quickly resolved as the platform is easy to troubleshoot. "Thought Industries streamlined our Organization's Learning Management "
User Interface is extremely cutting edge and easy to learn how to navigate / customize. Thought Industries has a few gaps in the interface as far as the slideshow capabilities go, for my organizations use case. Creating a great client experience is our mission, and we have realized that by creating a more sleek and user freinfly LMS, our clients are more satisfied with their learning experience. "TI is a great team to work with!" I like coordinating with the team at TI over product enhancements. Nothing. It's been a pleasant experience so far. TI enables us to customize our product offerings to our clients' needs. It also allows us to track our user data better, and it is mobile responsive and visually pleasing. The LMS has a good range of page styles and interaction features. It's easy to use and well supported. The initial training provided was exemplary. Options for adding supporting material around the courses is limited, and the widgets and design functionality for non-course pages are a little clunky. The Independent Publishers guild is a trade body representing independent publishers in the UK. We use the Thought Industries LMS to build and deliver courses and resources for our members, who access the Skills Hub as part of their membership subscription. It's becoming an important tool for our members and a driver for recruiting new members. It's a fairly easy platform to use both as a customer and administrator. Quick and reliable customer service response time. Updates to the platform can cause problems and glitches. Platform limitations. Limited ability to customize user experience. Bringing online learning to our customers has expanded our business model. "Best LMS for your Organizational Needs!" Fully customizable widgets and a yet a simplified design allow for customization beyond belief! .SCORM export and import options allow you to communicate with outside systems. Cost per user justified at a higher threshold than some other LMS platforms. Tracking learner progress for internal and external stakeholders across curriculum programming. Once you know the backend it does get easier. "Clean interface with a smooth workflow." I like best that Thought Industries is always working to improve their product. Some of the updates are pushed out with bugs and often change functionality without much prior notice. Make sure your users are willing to adapt to new updates. Thought Industries has helped solve issues with administering workshops for offsite instructors by providing assistance for them when needed and letting them do their thing when they don't. Sometimes things are not intuitive. It can be hard to figure out where buttons are. "Manager on Thought Industries "
"An amazing platform with outstanding support"
On the sales end there has been some miscommunication on invoicing. We are creating online classes to sell to clients. * We monitor all Thought Industries reviews to prevent fraudulent reviews and keep review quality high. We do not post reviews by company employees or direct competitors. Validated reviews require the user to submit a screenshot of the product containing their user ID, in order to verify a user is an actual user of the product. Hi there! Are you looking to implement a solution like Thought Industries?